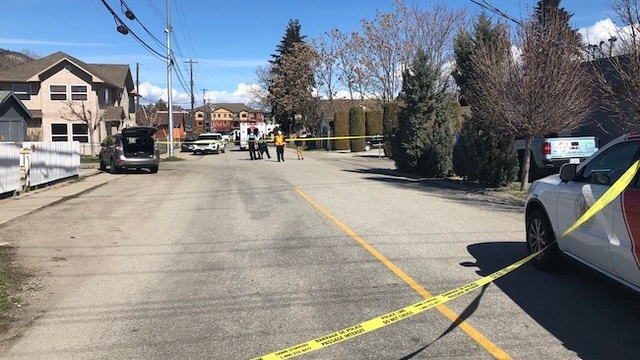 Mounties in Penticton say two men and two women are dead following a shooting spree that took place at three locations across the city Monday. According to Supt. Ted De Jager, officers first responded to reports of a possible shooting at around 10:30 a.m. in an area of the city's downtown core bordered by Eckhardt Avenue and Lakeshore Drive, and Main Street and Power Street. The second and third locations are in a suburban area near Murray and Cornwall drives in the south of the city, he said, where three of the four deceased were found. The first victim appears to have been tending to his yard at the time of the shooting. 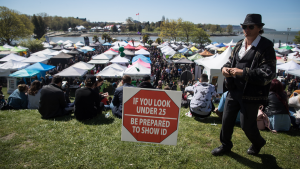 "A little later I came out and saw all the commotion here with police cars and a deceased person lying under the tree," resident Renee Myers told Castanet. De Jager said a man showed up to the RCMP detachment in his black Volkswagen Jetta at around 11:27 a.m. and turned himself in. Police are searching the vehicle. Charges are pending, according to the superintendent. "A thorough sweep of the area has been conducted and police have identified multiple locations in which we have several confirmed deceased victims," he said, adding that all three shooting scenes are located within a five-kilometre radius. "Despite the immediate support from the British Columbia Ambulance Service, all victims are deceased Police are continuing to look for anyone else who might have been injured in the course of this incident." Police have not named the victims, but said the four knew each other. In a statement, the RCMP said the victims will not be named unless there's an investigative need to do so. "Our thoughts are certainly with the families of the victims and Victims Services will be provided," he said, adding that the RCMP has deployed additional resources from the Southeast District to help with the investigation including a helicopter and the detachments Emergency Response Team. The ERT has been deployed to the area of Skaha Lake Road and Yorkton Avenue to deal with an ongoing incident, but initially said it was unclear whether the scene was related to the shooting. Police said later that it was determined that the incidents were not linked. Investigators believe all four shooting victims were targeted, but De Jager - who called the incident "unprecedented for this area" – said they have not established a motive. A woman at one of the scenes told Castanet there had been a shooting during which her husband was killed. She said she believed the shooting was the result of a dispute between neighbours, but her account has not been confirmed by authorities. 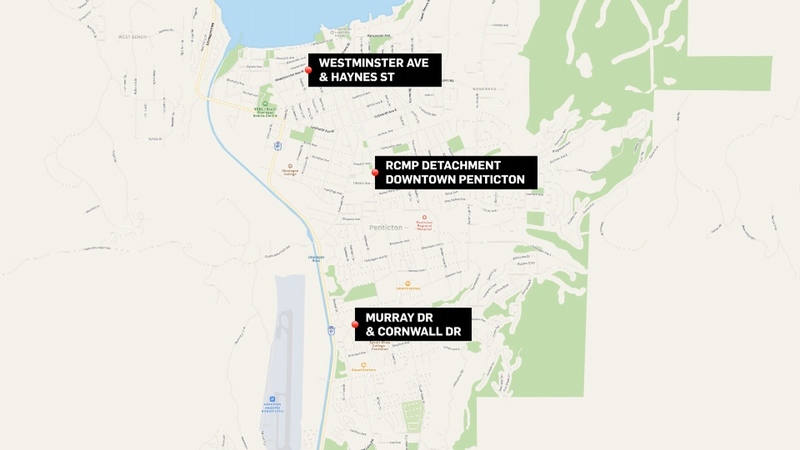 This map shows the three locations involved in a shooting spree in Penticton that left four people dead on April 15, 2019. 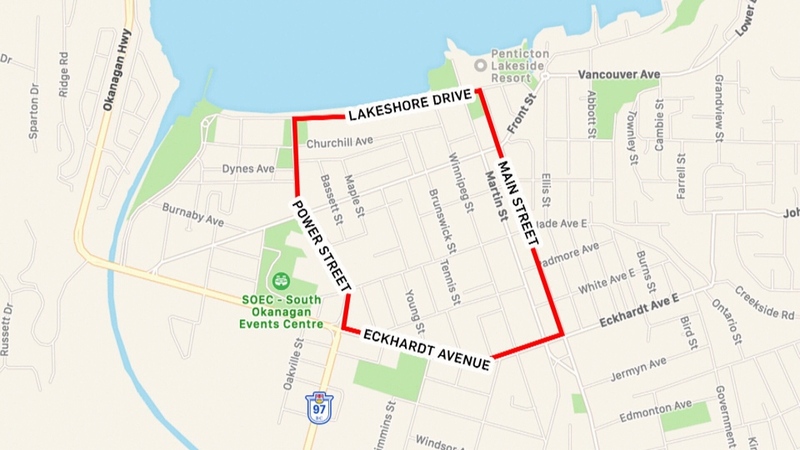 Police in Penticton asked those in the area bordered Eckhardt Avenue and Lakeshore Drive, and Main Street and Power Street to stay indoors while they responded to a shooting spree that left four people dead on April 15, 2019.